AUTHENTIC & FRADULENT! Bruce lee fans, Beware & Be Informed. Bruce Lee stumped the world with his invention of a new age martial art JKD – Jeet Kune Do. His movie "Enter the Dragon" showcased JKD for the first time to the world and drew millions to embark on the martial arts journey. JKD is a physical- martial and philosophical-spiritual art. The MARTIAL part includes various ranges – Kicking, Punching, Knee- Elbow striking & Grappling with ground fighting. JKD is unlike Karate & Taekwondo where major emphasis is on kicking, Judo & Wrestling where major emphasis is on body grappling and Boxing which focuses on punches. In JKD emphasis is total on all ranges　of fighting - Kicking, Punching, Trapping-Elbow & Knee, as well as grappling & Matwork. JKD deals with the techniques developed by Bruce Lee specifically for himself- Jun Fan JKD, made up from Fencing, Boxing & Wing Chun, which Bruce Lee adapted to form his specific Stance, specific Footwork & specific Strikes. The PHILOSOPHICAL part is about Lao Tzu, Zen and JKDization of Life. LAO TZU is about balancing Ying & Yang – harder forces and softer forces of existence (Masculine- Feminine, Day-Night, Optimism- Pessimism, Aggression-Accommodation). ZEN is about translating thought into action without rumination or worry. JKDization of Life is problem solving by the 4 fold path – Researching the subject at hand, Absorbing the useful parts & rejecting useless parts of your analysis and finally tailor-making the conclusions to suit your problem. Despite the colossal success of his films, Bruce Lee did not want to commercialize his art JKD. Hence JKD is not publicly available till date. All those who claim to commercialize JKD by opening schools, using Press & Media, holding tournaments and teaching numbers in batches are prostituting the name JKD without even scratching the surface of the iceberg. A JKD school is always kept low profile, trains only about 7 students at a time, and each is taught individually (tailormade to correct his mistakes & develop his individual attributes) without hoards trained in batches on common techniques. After Bruce Lees death, since JKD was not available,　the result was other martial arts which were available got popular all over the world. Bruce Lee certified few students in his lifetime in various martial arts he taught. Dan Inosanto, Richard Bustillo, Ted Wong, James Lee and Taky Kimura are some of his prominent students. Today Inosanto, Richard Bustillo and Ted Wong are the most sought out Teachers of JKD. These so called ORIGINAL STUDENTS run seminars all over the world to introduce JKD to the participants. The participants are then awarded JKD SEMINAR ATTENDANCE certificates. These are not to be confused with JKD INSTRUCTOR CERTIFICATIONS awarded to deserving by the Original students after a lifetime of specific JKD training under the Original students. The Instructor Certifications are APPRENTICE, ASSOCIATE & FULL INSTRUCTOR which takes decades of researching & training specifically in the Bruce Lee arts. Those who have been certified by these above Bruce Lees Original Students (first generation) are called SECOND GENERATION INSTRUCTORS. Those who have been certified under second generation are called third generation Instructors. Upto third generation Instructors, one can safely assume that the art of JKD is least diluted. I, Ritesh Reddy, am a third generation instructor, under Dr. Rao, private student of Richard Bustillo. After Bruce Lees death, Dan Inosanto & Richard Bustillo opened up the IMB Academy (Filipino Kali Academy) which was the first academy to teach JKD. Richard Bustillo had received student certification from Bruce Lee and later was the first student of Inosanto to be issued Senior JKD Instructor Certification, before partnering the first JKD Academy the IMB Academy. Ted Wong, Taky Kimura, Dan lee & others have trained this academy before branching off themselves. Richard Bustillo & Ted wong was instrumental in training Bruce Lees son Brandon Lee,　daughter Shannon Lee & in helping raising the Bruce Lee foundation. To the best of my information, The Bruce Lee foundation has YET NOT DEVELOPED the JKD training program,　and is still to develop the JKD Schools all over the world in few years. 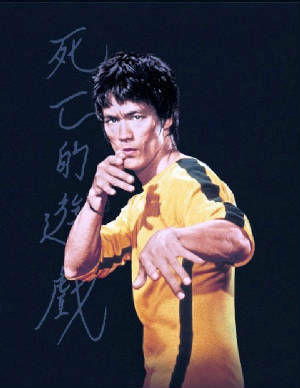 There are many who locally register Bruce Lee foundation with the TM & Patent office in their country & claim to be the BL Foundation, without any connection to Bruce Lee. The false claims of being BL Affiliate schools can be easily verified by contacting the BL foundation　& Ted wong for verification of authenticity of the so called BLF Schools in India (!). There is nothing like a BLF affiliated school anywhere in the world. Then there is the World JKD Associations & Federations, which is a diploma mill, which offers Full instructor certification to those who pay 500 USD, without ever meeting the students via video sale! Many Karate Instructors in Delhi & Mumbai have been certified by the such JKD federations & claim to teach JKD. They also hold competitions without realizing that Bruce lee was dead against martial tournaments & sport fighting, with major focus only on　full contact no holds barred, all our sparring. WHO CAN THEN TEACH JKD? As per Bruce Lee foundation, authentic JKD can only be learnt under those qualified Instructors who have been issued Full Instructor certifications by the Original students (like Dan Inosanto, Richard Bustillo, Ted Wong). So, those with full Instructor certifications from original students Richard Bustillo, Ted Wong & Dan Inosanto, can teach JKD. In my approximation there are about 500 JKD Instructors at all levels in the world of which only about 50 hold full Instructor certifications from original students. Only so many in the last 4 decades after Bruce Lees death! One may also contact the JKD Brotherhood which is a historical JKD website to verify claims of Instructorship. The only authorized JKD School in India & Asia is the IMB Academy-India/ asia chapter, in Mumbai called JKD Ideology. 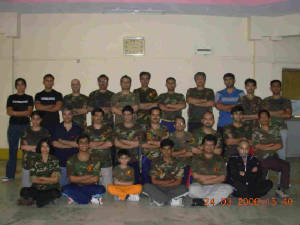 I have personally learnt JKD here under the authentic Instructors, dr. Rao who donot wish their names to be publicized. These Instructors are authorized by Richard Bustillo and are full instructors in JKD. This can be easily verified by contacting IMB Academy or Richard Bustillo himself at www.imbacademy.com He will vouch for the JKD Ideology School in India to be the local IMB chapter under his guidance. Richard Bustillo frequently travels to india to supervise & train the Indian Bruce Lee fans. His last trip was a low publicized trip to Mumbai in March 2010. If you have to understand more about JKD, you may visit many websites which offer authentic information on JKD. Yes, there are many like WORLD of JKD - which may mislead you to believe that they are related to the BL Foundation, without nothing to do with BL Foundation, but have links to BLF website of it. For JKD information in India- Mumbai, you may please refer to http://jeetkunedoindia.tripod.com which is IMB – Asia chapter representing Richard Bustillo, Original student of Bruce lee. This website is close in identifying with the concepts & techniques of Jeet Kune Do. For training in Jeet Kune Do under the same school, visit www.JKDindia.com or contact info@JKDindia.com or call at 9820496752 to learn the authentic low profile Bruce lees art of Jeet Kune Do in India under authority & supervison of IMB Academy USA President, Richard Bustillo, who has been certified by the great Bruce Lee himself. I hope I have cleared some misconceptions about JKD in India & helped in preserving the good name of the legendary Bruce Lee for the benefit of his fans in India. Bruce lee strongly believed that one must tailormake every technique to his individual need, by researching, absorbing the useful & rejecting the limitations. He also devised specific techniques to suit his constitution JFJKD. While we must study his methods, we must also understand his concepts, philosophy & ideologies. These will not only help us in becoming better martial artists and also to become good individuals in arena of life. I wish you luck in your JKD quest, search & journey. I also urge you to remember that JKD is the journey not the destination. So brothers, In the words of Bruce Lee, Walk On!